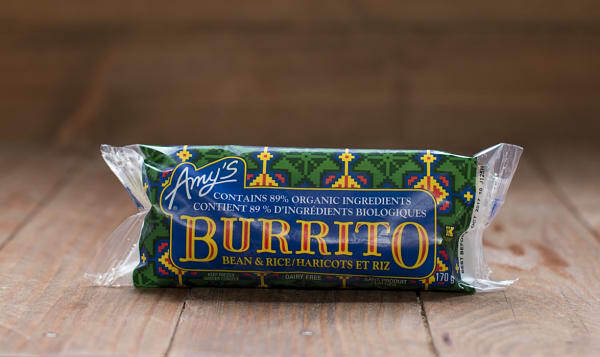 Organic flour tortilla wrapped around organic pinto beans, rice and vegetables in a mild Mexican sauce. Non-dairy/no cholesterol. Only 6 g of fat.